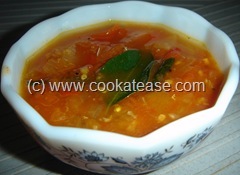 In this blog, I am giving name to all chutneys as my family calls them. 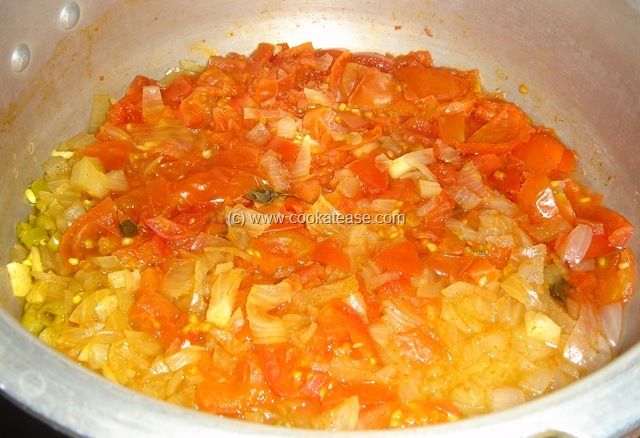 Boiled tomato chutney is also a type of tomato chutney with less oil and spice. 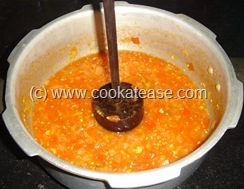 No need for a mixer to prepare this chutney. If you have tomato and onion, you can cook variety of side dishes for any snack. Both occupy a dominant role in my kitchen. Wash, cut tomato, onion, green chilli, garlic, and curry leaves; put it in a pressure cooker, add turmeric powder, red chilli powder and salt; add half cup of water in this and keep for one whistle or you can boil separately. Mash all the boiled items partially with ‘mathu’ or churner (as shown in photograph) that is used to mash boiled spinach and vegetables; do the seasoning and bring to boil. 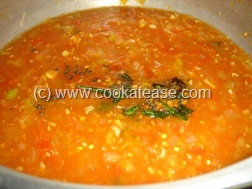 Now boiled tomato chutney is ready with very less oil. This goes well with Idli, Dosa, Chappati. 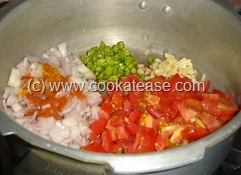 You can also mash it in a mixer but run mixer only once. Boiled items should be mashed partially to get the taste. This post is part of the event “Spicy Fiery Chutneys” hosted by Ammaji Recipes. 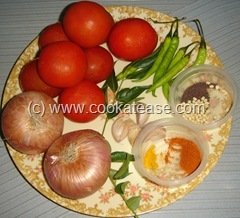 Yummy, feel like having with hot steaming idlis..